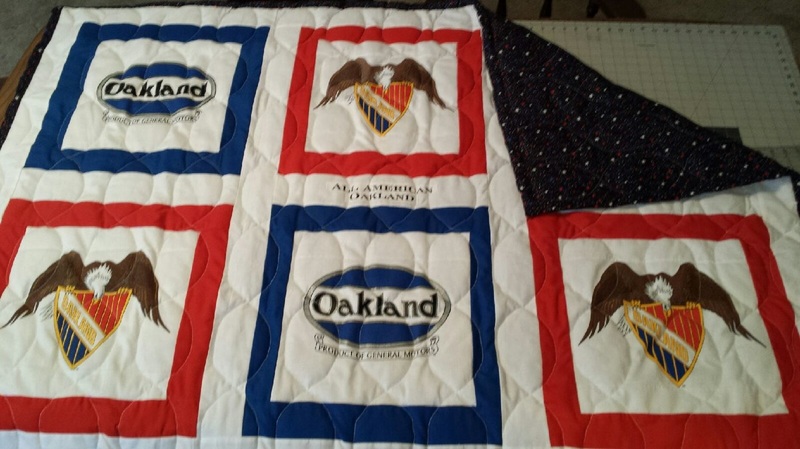 DAF Quilt - Oakland Owners Club International, Inc.
As a part of the Oakland celebration at this years DAF, there will be 2 very special Oakland quilts and 1 set of Oakland throw pillows raffled off to raise money for the club and offset some of the expenses associated with the DAF. 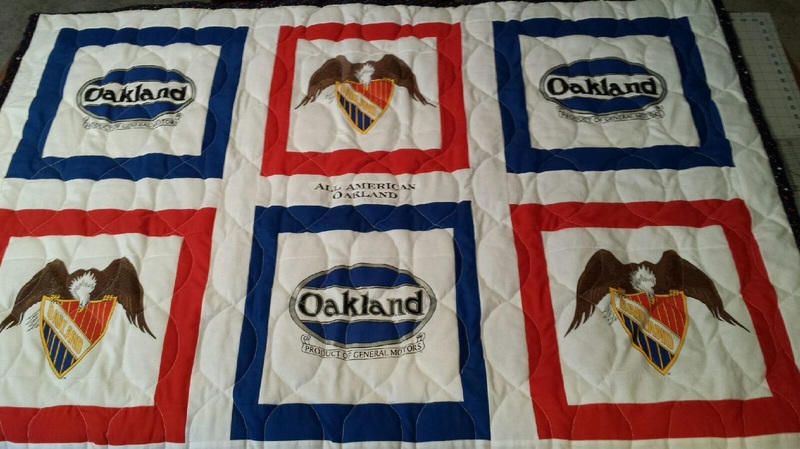 The quilts are lap quilts the size you would use riding in back of an Oakland they measure about 4ft x 6ft. 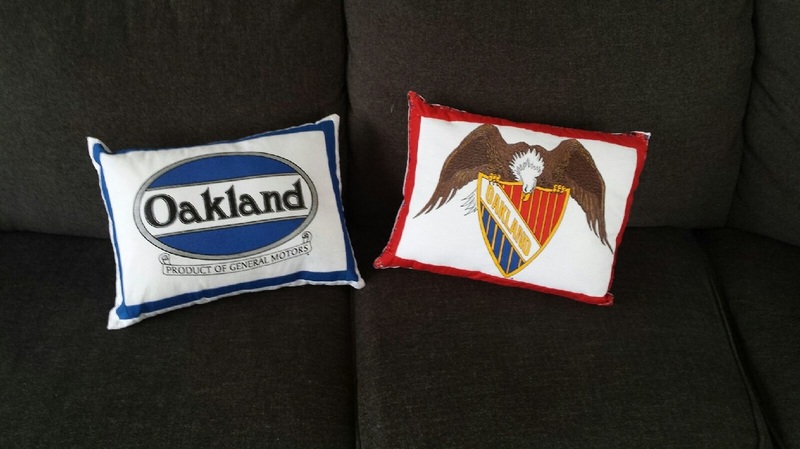 Thanks go to club founder, John Martin and his wife for their donation. There will be one drawing each day of the DAF. The drawings will be held in the main tent at the end of the day. Tickets will be $1.00 each and will be available online and in the tent at the Das Awkscht Fescht. .